Megaupload.com , the well known file-sharing website was taken down by authorities(read FBI) and its co-founder Kim Dotcom and several other members from the staff were charged for: Conspiracy to Commit Racketeering, Conspiracy to Commit Copyright Infringement, Conspiracy to Commit Money Laundering, Criminal Copyright Infringement by distributing a Copyrighted Work Being Prepared for Commercial Distribution on a Computer Network & Aiding and Abetting of Criminal Copyright Infringement and Criminal Copyright Infringement by Electronic Means. The full indictment is here. The indictment was filed in The United States District Court for The Eastern District of Virginia, Alexandria Division. Dotcom and three other members were arrested Thursday, January 19 in Auckland, New Zealand and Megaupload Ltd. and its children websites caused more than half a billion dollars in harm to copyright owners and generated more than $175 million in criminal proceeds, according to the authorities. Megaupload Ltd. earned more than $110 million over five years in membership fees and other payments via a PayPal account. Megaupload Ltd. is already engaged in a legal fight with Universal Music Group about a video uploaded to youtube.com , where UMG simply requested the video to be taken down by Youtube under a private agreement that the company says exists between it and YouTube. The UMG lawyer Kelly Klaus sent a letter to Youtube stating that UMG has the right to take down videos on Youtube “Not limited to copyright infringement” only. Of course Youtube refuse them and stated for Arstechnica: “Our partners do not have the right to take down videos from YouTube unless they own the rights to them or they are live performances controlled through exclusive agreements with their artists, which is why we reinstated it.”. The controversed video continues to be online. We won’t discuss here if the charges are founded, why the New Zealand authorities arrested so quickly Non-American citizens at the FBI recommandation or other legal aspects. 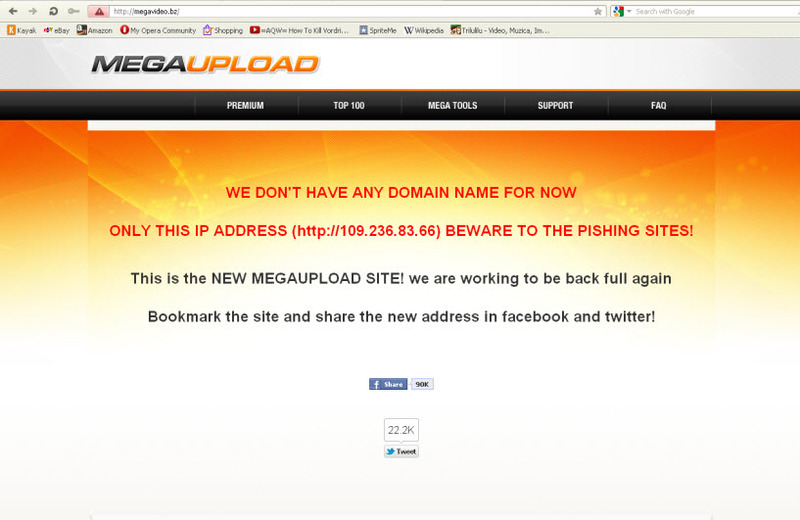 Somehow expected, a Megaupload successor, in reality a fake Megaupload website appears on the Internet. I’m expecting to see many more in the near future. This site has been reported as fraudulent. Exchanging sensitive or confidential information with this site could put you at risk for identity theft and/or financial fraud. Opera Software strongly discourages visiting this page. How the page looks like? 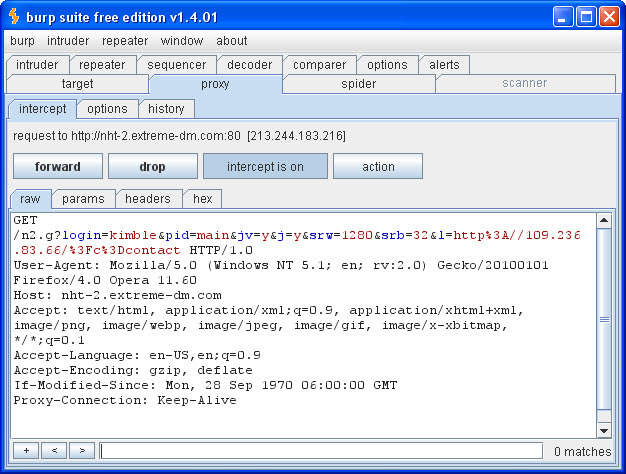 http://www.extreme-dm.com is redirecting to http://extremetracking.com/ which is used to collect informations about websites visitors. My advice is to stay away from this website, for me it seems fake, anyone can make a clone with megaupload.com website look and claims that: “Megaupload.com is back!”. And who is feeling comfortable knowing that his visit is tracked down? Post the entire report without modifying it. I ran it and my report on IP addy said the site had low risk in those areas of concern.